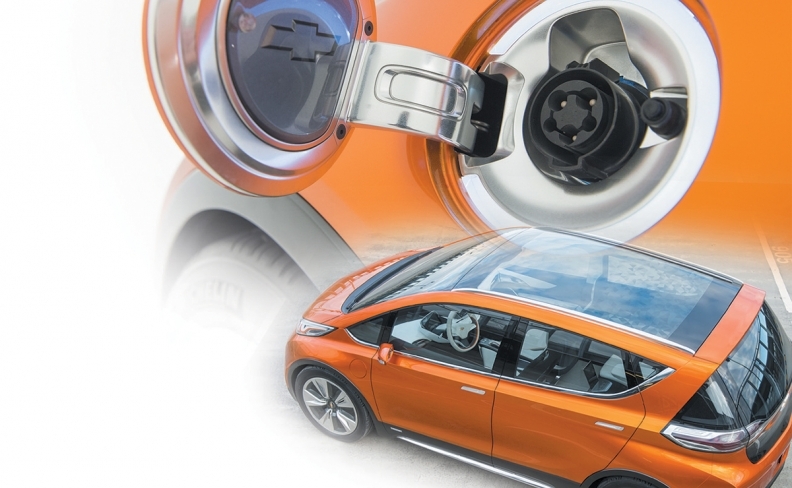 Upcoming cars such as the Chevrolet Bolt, with a range of more than 300 kilometres, will help the electric cause. What's in it for Canadians? /// Canada has about 2,000 public charging stations, mostly in cities with the highest sales of electric vehicles. /// The U.S. government provides $7,500 as a tax credit to buyers of hybrids and electrics. The Canadian government offers nothing. /// B.C., Ontario and Quebec are the only provinces to provide incentives. /// Other than the Nissan Leaf and Tesla Model S, there are no viable battery-electrics available to Canadians. The hybrid landscape is much brighter, but without government incentives (and because the price of gas is relatively low), hybrids and electrics simply fly under the radar. Oil prices are in freefall, hydro prices are rising and electric cars still cost thousands more to buy than their conventional counterparts. It would appear the case for the electric car has never been weaker, especially in Canada where climate and distance challenge any semblance of function. But there's more at play here than simple supply and demand, or lack thereof. "There is now the real concern about climate change," says Saeid Habibi, a professor and electrification researcher at McMaster University in Hamilton, Ont. "These factors are creating an environment whereby electrification is inevitable." Aside from tough new U.S. fuel-economy standards due in 2025, international commitments at the November COP21 climate-change conference in Paris, France, underline that only "transformative change," as Habibi calls it, will yield the necessary reductions in carbon-based fuel use. Canada usually emulates U.S. fuel-economy standards and is a signatory to COP21, so despite deterrents such as a battery-sapping cold climate and vast distances, Canada cannot opt out. The market share for battery electric (BEV) or plugin hybrid vehicles (PHEVs) in Canada has grown 10-fold over the past five years, though it's still tiny at about 0.33 per cent. Comparisons with the United States are muddied by the fact that not all models sold there are available here. Among those available in both countries, their combined market share is almost double in the United States, about 0.6 percent. Three big EV issues facing Canadians: battery range; how much cold weather kills their performance; and little in the way of incentives. Better technology is on the way but does it address the concerns of rural Canadians? Electrification isn't just about pure battery electrics. It's a continuum that can range from something as simple as idle stop/start systems, says Habibi, through conventional hybrids (HEVs) to PHEVs. And while the world awaits a breakthrough in BEV driving range, existing technologies continue to improve. Ford has committed to spending US $4.5 billion on electrification, adding 13 new electrified nameplates by 2020. 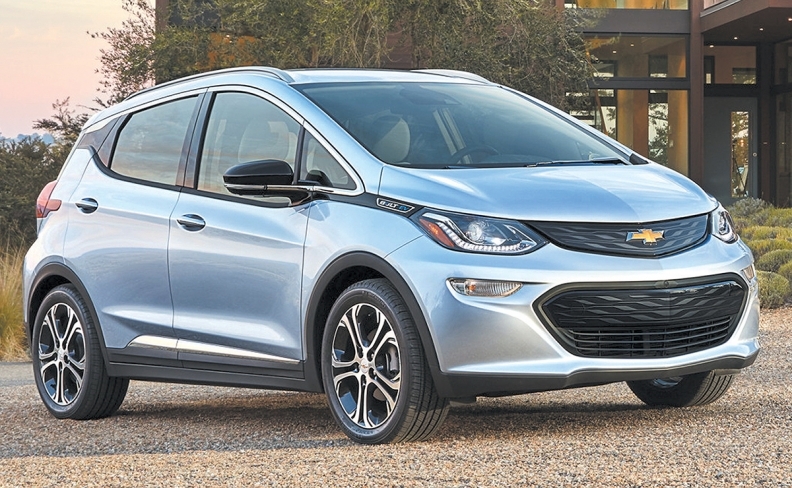 Chevrolet claims its upcoming 2017 Bolt will have a range of 320 kilometres, which is about double that of most current battery electrics. If Canadian engineering students are any guide, this country is well placed to contribute to future vehicle electrification. In the 2015 Formula Hybrid competition to design, build and demonstrate hybrid-powered race cars, student teams from the University of Waterloo, Ont., McMaster University in Hamilton, Ont., and the University of Victoria, B.C., took the top three places. Competing schools were from across North America. Habibi is director of the Centre for Mechatronics and Hybrid Technologies at McMaster Automotive Resource Centre (MARC), which is dedicated to so-called "green" transportation and works closely with OEMs from Detroit and Europe. "Researchers in Canada are second to none ... and we have a healthy supplier base." He cites Toronto-based D&V Electronics, which supplies electric testing technologies that are unique in the world). As for funding of research, Canada "hasn't done badly" with programs like the federal Automotive Innovation Fund and the Ontario Research Fund. Still, Habibi is clearly impressed with the "remarkable" level of funding that the Obama administration has put into electrification research and development south of the border. In terms of electricity supply, Canada is in a very good place, says Ford Canada product manager for cars, Marc Vejgman. "Quebec has abundant clean hydro and infrastructure, and wants to make more use of it." Quebec is aggressively growing its "Electric Circuit" network of public charging stations. Ontario, which also generates mostly clean electricity through hydro and nuclear, has pledged $20 million for charging stations. According to the Canadian Automobile Association, there are just over 2,000 public charging stations in Canada. These are mostly in Vancouver, Toronto and Montreal but one provider, Sun Country Highway, is establishing a network right across the country. Other providers include train stations, hotels and restaurants, malls and auto dealerships. "We're going to see a rapid growth in 2016-'17 and that will give consumers more confidence that wherever they drive in urban areas there will be a charging station available," says Vejgman. As for the cold-weather drain on batteries caused by climate control systems, seat heaters are an energy-efficient alternative to blowing hot air around the cabin, Dr. Habibi says. And most plug-ins can pre-condition the interior while the vehicle is plugged in to recharge. In Canada, only Quebec, Ontario and B.C. currently provide incentives toward the purchase of electrified vehicles, but those three provinces account for 75 percent of the nation's population. Maximum rebates range from $5,000 in B.C. through $8,000 in Quebec to $8,500 in Ontario. Almost 90 percent of EV sales are in those provinces, says Vejgman, just as U.S. sales of EVs are concentrated in those states that offer incentives over and above the federal tax credit of up to US $7,500. There are currently no federal incentives in Canada.